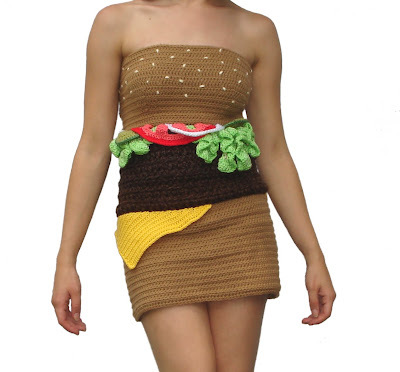 Hamburger dress. Why didn't I think of that? Oh wait, because I am not completely insane. 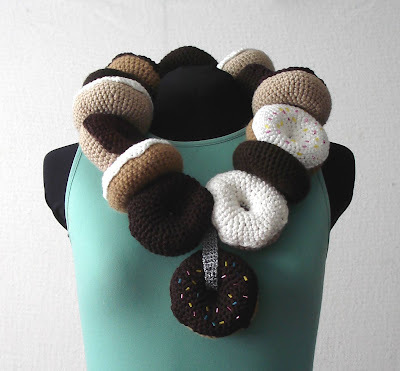 For everyday wear, I might prefer the donut necklace. But how sad would it make you every time you remembered they weren't real?